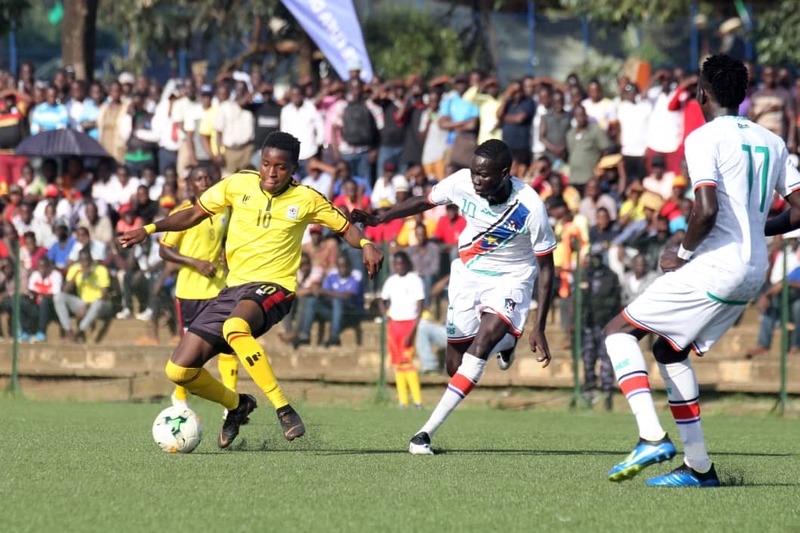 LUGOGO – The Uganda Kobs required an injury time penalty to defeat South Sudan 1-0 in the first round of the U23 AFCON qualifiers. In the match played at Lugogo on Wednesday, Mustapha Kizza was the hero of the day, slotting in a penalty in the second minute of additional time. The game started brightly for Wasswa Bbosa’s side, showing their attacking intent from the onset. With 12 minutes played, debutant-Joel Madondo was on the end of Uganda’s first real chance as he headed over Kizza’s free-kick. Most of the action was concentrated in South Sudan’s half but Uganda failed to create clear cut chances. On 21 minutes, Okello sent a low cross into the area but John Chol intercepted it before reaching Steven Mukwala who was waiting to direct it goal-wards. The first booking of the game happened six minutes later when Danial Solong Peter was shown yellow for a foul on Mustafa Mujuzi. Uganda continued dominating possession but could not find the break through in the first 45 minutes. 10 minutes into the second half, the lively Okello tried his luck from distance but his shot was saved expertly by Ramadan Diing in the visitor’s goal. The first substitution for Uganda happened a minute later as Vipers’ Joseph Ssemuju came on for Mujuzi in a move that was intended to push the team further forward. 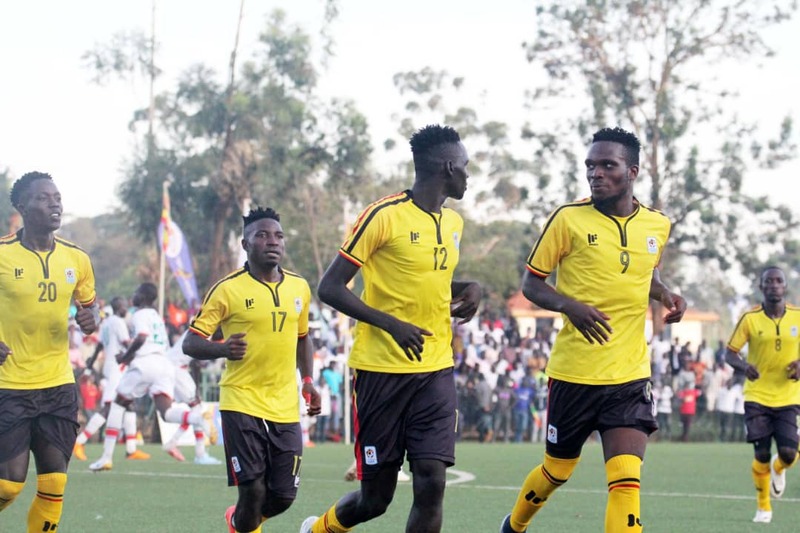 With Uganda committing numbers forward, they were always suspect to counter attacks and on 58 minutes, Samuel Edward nearly put Sudan in front only for him to slice the ball over will only six yards from the goal mouth. The visitors brought on midfielder Peter Okech for striker Edward in an effort to see out the 0-0 result. With time running out the Cranes started creating wave after wave of attack and Shafick Kaggimu tried his luck from distance but his effort went agonizingly wide. With 15 minutes to play, Bbosa introduced Duncan Sseninde in place of Joel Madondo. Moments later, Sseninde teed up Mukwala who slotted into the back of the net but his effort was ruled out for offside. The visitors got their first corner with 10 minutes to play but it resulted to nothing as Saidi Keni gathered the resulting kick with ease. Four minutes later, South Sudan nearly silenced the home crowd but Taku Peter’s overhead was comfortably saved by Keni. Moments later, Okech sent a snap shot over the bar in what would prove to be South Sudan’s last chance. In the second minute of the three added, Goeffrey Wasswa threaded a through ball for Mukwala who was brought down in the area by Diing. The Referee pointed to the spot and Kizza converted to hand Uganda a 1-0 win. The second leg of the game will take place on the 20th of this month in November. Saidi Keni, Mustafa Mujuzi, Geoffrey Wasswa, Bashir Asiku, Mustapha Kizza, Julius Poloto, Lawrance Bukenya, Shafick Kaggimu, Allan Okello, Steven Mukwala, Joel Madondo.